A good snow blower can be a wonderful asset to those facing the harsh winter conditions. 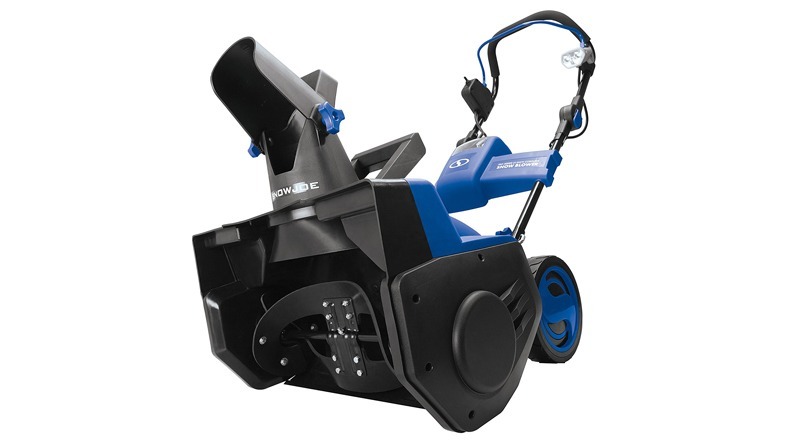 If you are looking to add to your winter arsenal to remove snow from your sidewalks and driveways then you may want to take a look at the Snow Joe iON21SB-PRO Cordless Snow Blower. This is a cordless, lightweight, single stage snow blower that can provide you with years of dependable snow blowing service. You will be able to remove snow from your sidewalks, walkways, driveways and any other area that needs it. Before you make your next investment be sure to take a look at our full Snow Joe iON21SB-PRO 21-Inch Cordless Single Stage Snow Blower review. Snow Joe has created some really great features with this model making it suitable for many winter seasons of use. 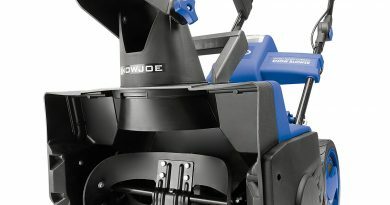 Before we get into the full review of the Snow Joe iON21SB-PRO 21-Inch Cordless Single Stage Snow Blower be sure to look at all of these key features. 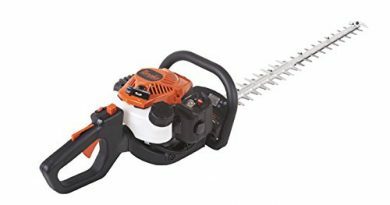 It can at times be difficult to find high quality battery operated outdoor power tools that run efficiently and have a sufficient battery life to make it worth your while to purchase. The full 2 year warranty suggests that this is not the case with the Snow Joe iON21SB-PRO 21-Inch Cordless Single Stage Snow Blower. Snow Joe + Sun Joe believe in providing quality product at affordable pricing. Founded in 2004 this North American company has proven to provide quality merchandise to its consumers. In 2013 the company created the iON snow blower which opened the door to battery operated snow blowers, this in turn has provided new options for environmentally concerned consumers to move snow in an ecofriendly manner. The Snow Joe iON21SB-PRO 21-Inch Cordless Single Stage Snow Blower is a contemporary looking machine. Its Lithium battery is interchangeable with all other iON products. The battery provides the consumer with 65 minutes of runtime. The lightweight design at 36 pounds makes this machine a wonderful addition to your outdoor equipment. Being lightweight, it is easy to maneuver and get in and out of storage. This feature also provides ease of use for those who do not have the capability to use the bulkier much heavier models. 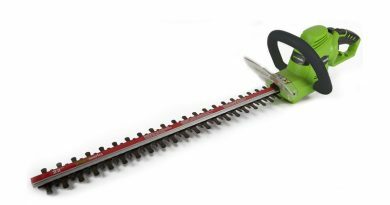 This model is 21 inches wide which allows you to remove snow quickly and efficiently from your way. It also goes 8 inches deep, making short work of heavy snowfall. The scraper blade enables you to clear all the way to the ground without damaging the surface beneath whether it is grass or cement. Built sturdily with a steel auger and 2 heavy duty rubber blades the iON21SB-PRO can move up to 660 pounds of snow per minute. The efficiency that this model provides could make this a great asset to consumers who live in areas that have a large amount of snowfall regularly or for those living in places that are hit by sudden snowstorms. Anywhere there is snow this is sure to be a wonderful candidate to consider. The 180 degree auto – rotate chute works instantly by flipping a single switch. Enabling you to change the direction of where the snow is going. With up to a 20 foot throwing distance it has the ability to remove the snow from your path and to place it where you would like it to go. At just 36 pounds this durable snow blower has the ability to lessen the stress and strain of removing snow. Compact and lightweight the design is practical for most everyone. Not only is it practical it looks great as well. Other easy to use functions that come with the iOn21SB-PRO are the LED headlight turned on with a flip of the switch. This is a wonderful addition as it enables the user to operate whether it is day or night. This can be really handy for those early morning situations. We do a lot of our work after dark, so the light is ideal. With its adjustable handle, this machine can offer maximum user comfort, no more awkward positions. Simply adjust handle to a position that suits you best. The real gem of this design is that it runs on a battery. No crank start, ropes, extension cords. No need to use fuel, oil or other non-renewable natural resources. This also eliminates emissions that pollute the air. The iON PRO comes with a rechargeable 40 V 5.0 Ah EcoSharp PRO lithium-ion battery. This battery has been upgraded and is interchangeable with other Snow Joe products. A bonus if you plan to own other Snow Joe models. 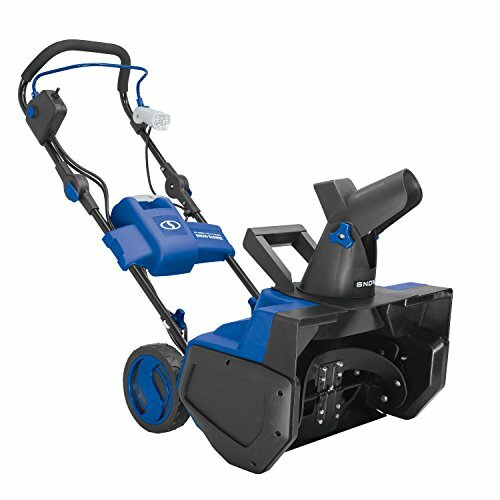 The iON PRO feature a 600 watt brushless motor, creating a quiet snow blower that can be used during the night or day without worry that you will bother your neighbors. The brushless motor also allows for longer battery life per charge. It also optimizes the performance and life of the motor. When going through the review for the iON21SB-PRO there is a lot to like. As with most things in life not all is perfect. Here are a few minor points to think about when consider purchasing this model. Efficiently clears large amounts of snow. Quiet running enables you to use day or night without disturbing others. Lightweight easier maneuverability, less body strain. Battery operated means no toxic pollution, nor need to use gas or oil. It is cleaner and more economical to operate. Push button start, flip of switch for chute and headlight. Not entirely made of steel and tin. Battery may not have the running time as a full tank of gas. 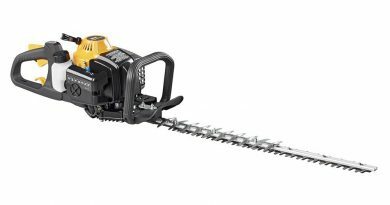 During our full Snow Joe iON21SB-PRO 21-Inch Cordless Single Stage Snow Blower review we found this to be one of the most convincing options within its price range. Many of the features are what the average buyer would be looking for in a battery operated snow blower, with its quiet dependability, long battery operating time and use of quality materials. If you are looking for a new snow blower to help with your snow removal and want something that is durable and dependable the Snow Joe iON21SB-PRO Cordless Snow Blower is easy to recommend.